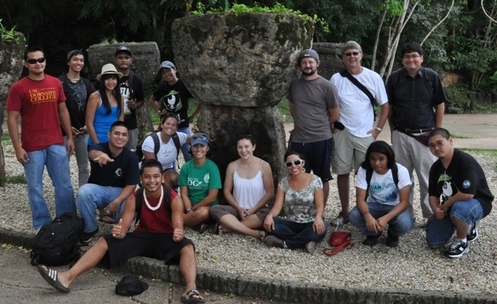 We have conducted two immersion field courses focused on the ecology and conservation of island ecosystems. The first was from January 2nd-17th, 2012, and the second from December 28-January 15, 2015. Each course had total of 14 students from the Northern Marianas College on Saipan, Guam Community College, and the University of Guam. We will run a third Island Ecology course in summer 2018.